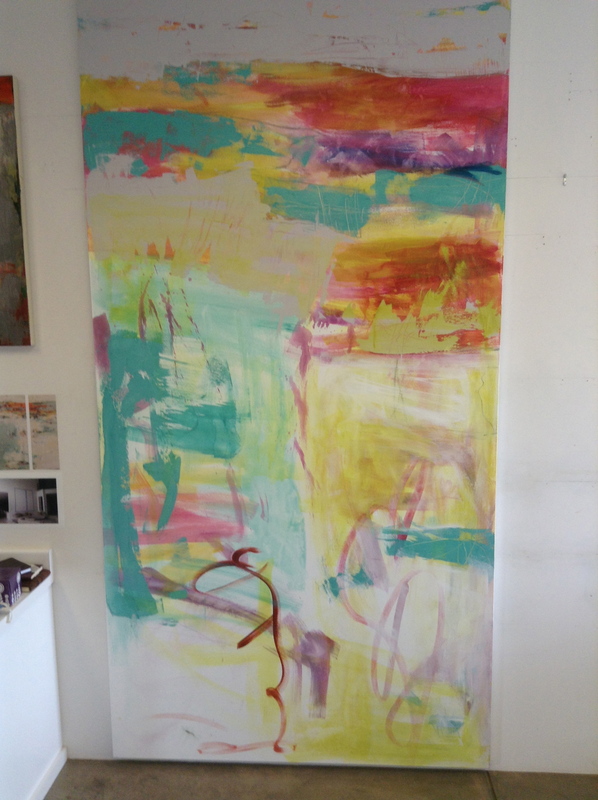 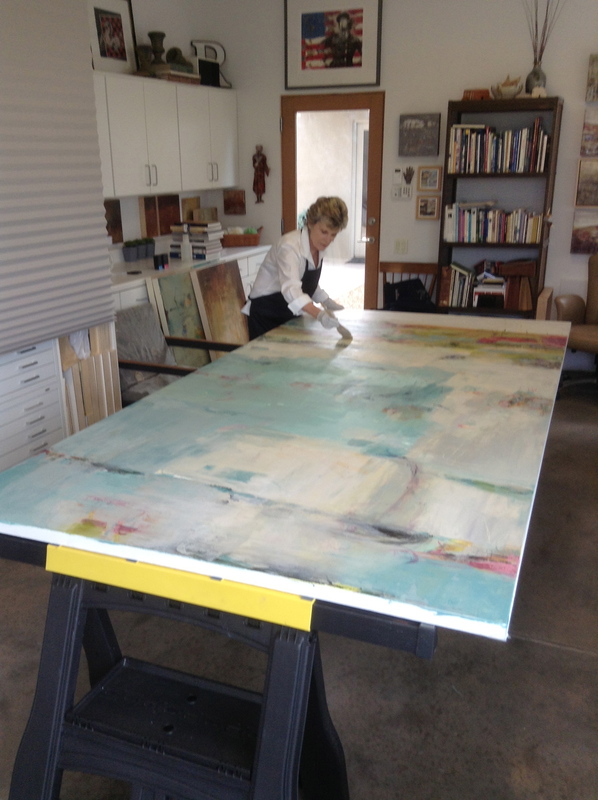 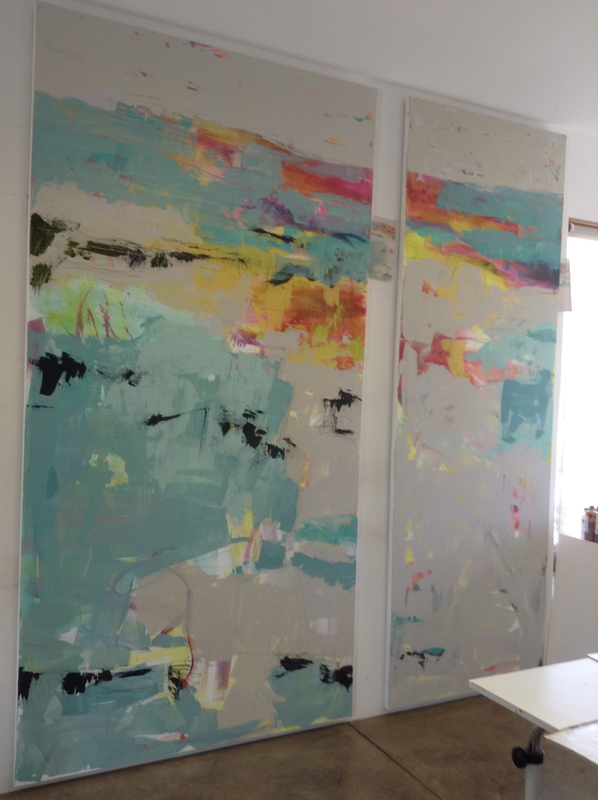 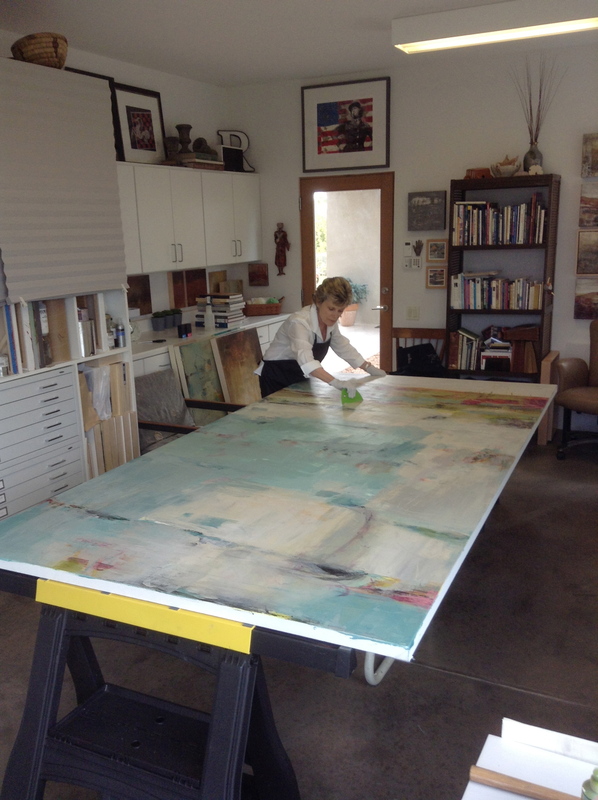 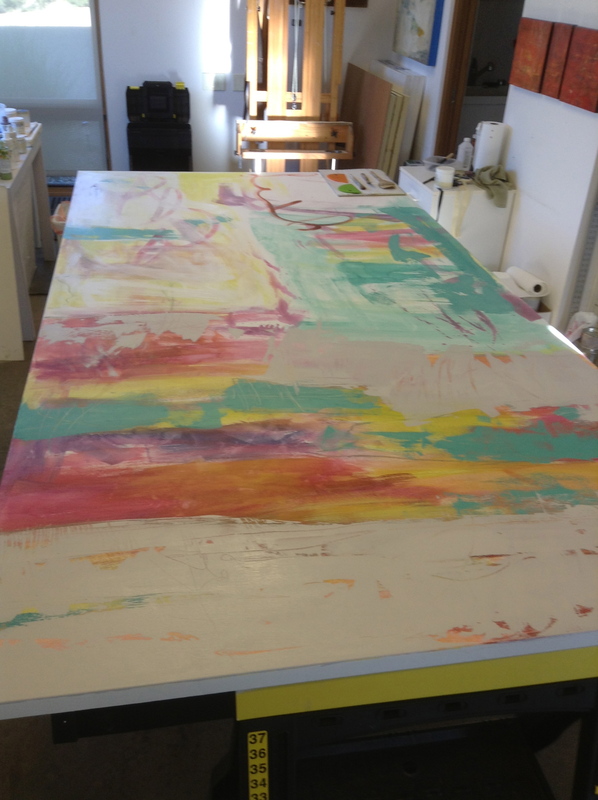 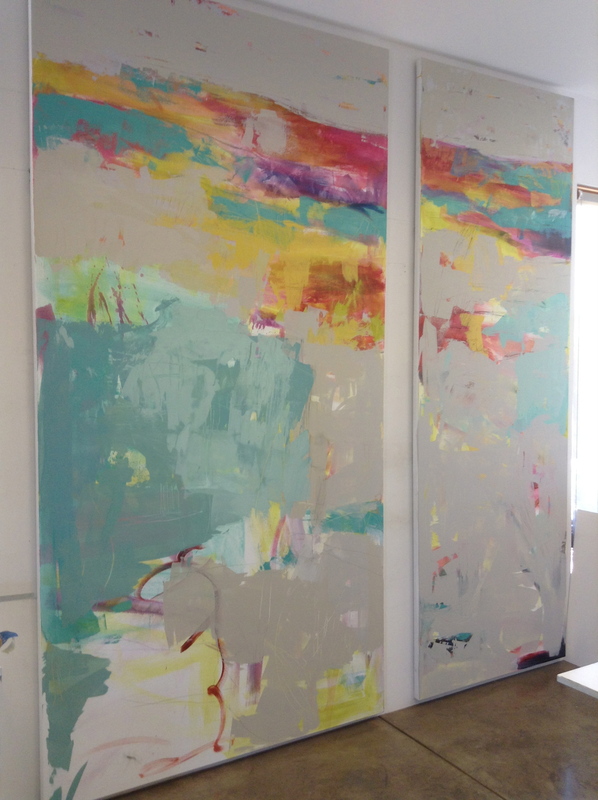 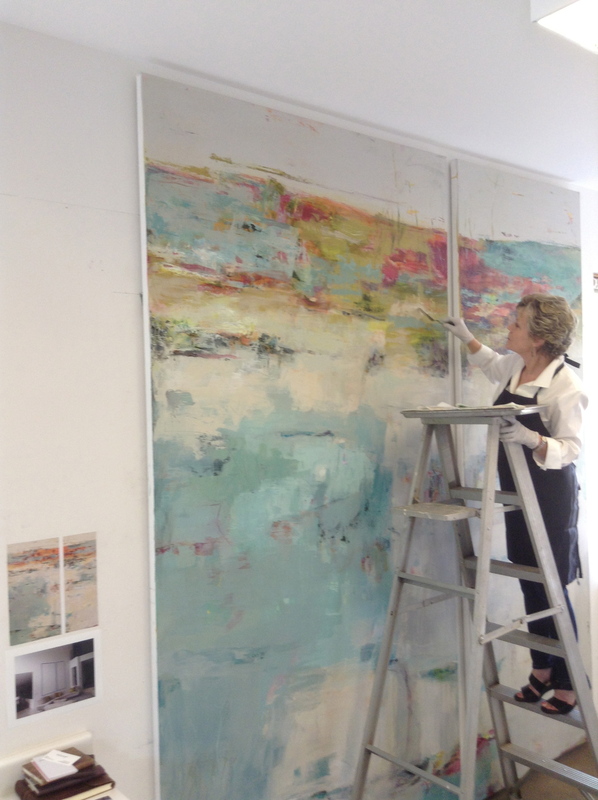 Recently Martha was commissioned to create a very large painting for a client in Florida. 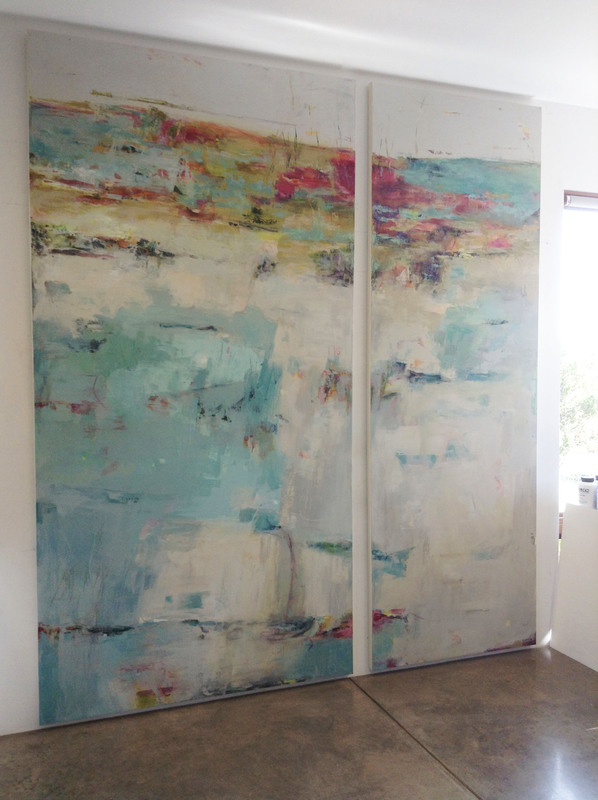 The finished piece, 110″ x 94″ is shown above. 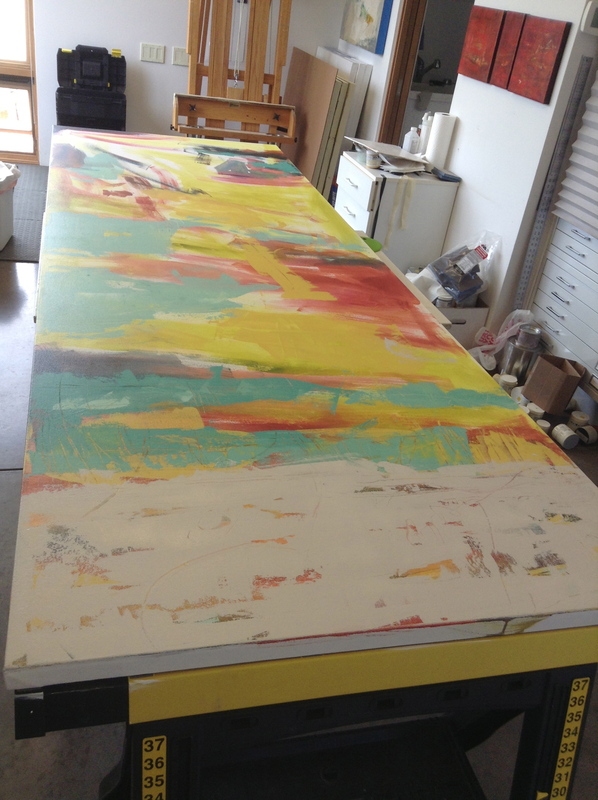 We have documented the creation of the diptych below. 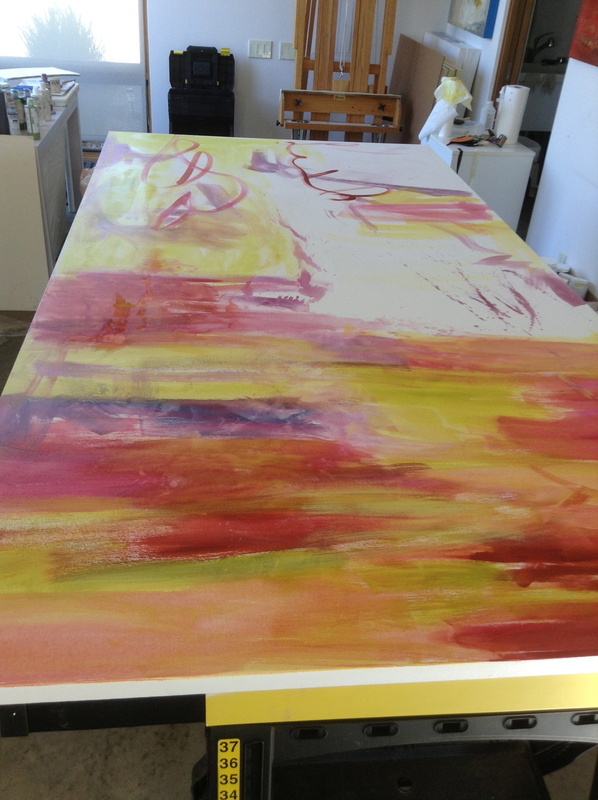 The painting was painted on the wall and in a horizontal position on saw horses. 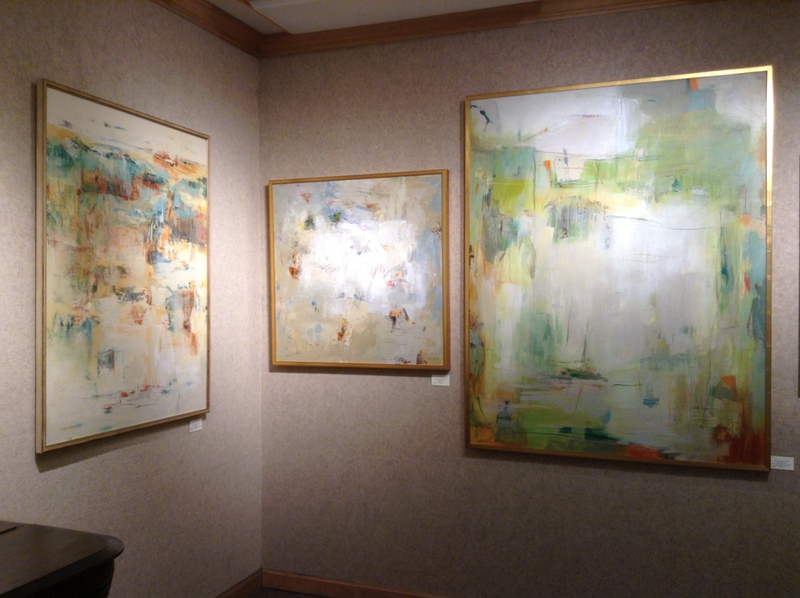 Martha Rea Baker’s long time gallery Brown’s Fine Art in Jackson, MS featured her work in a one woman exhibition in May of 2013. 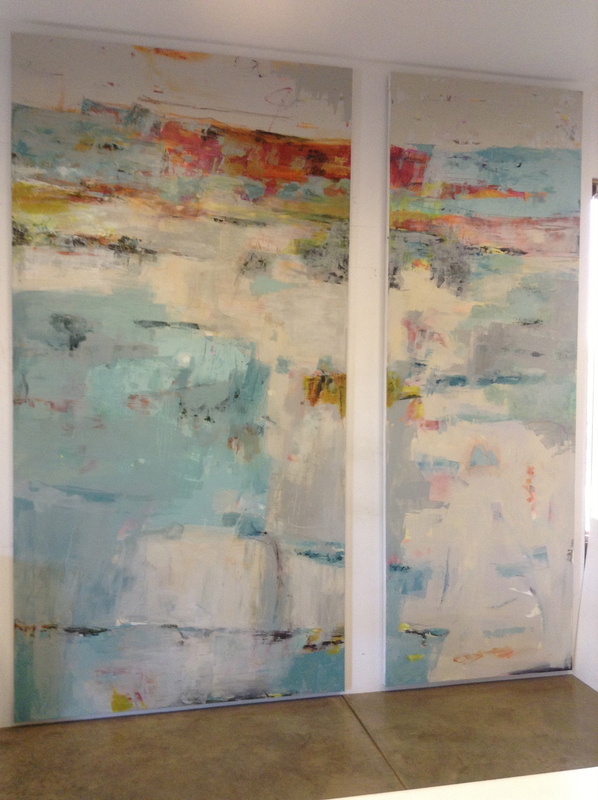 The paintings were beautiful hung in an intimate salon just off of the main entry to the gallery. 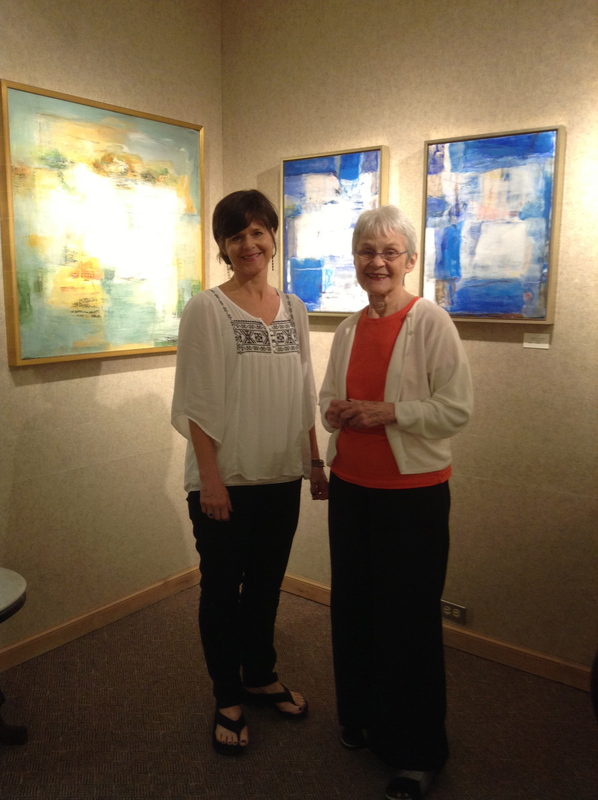 We have posted some select photographs of the exhibit below. 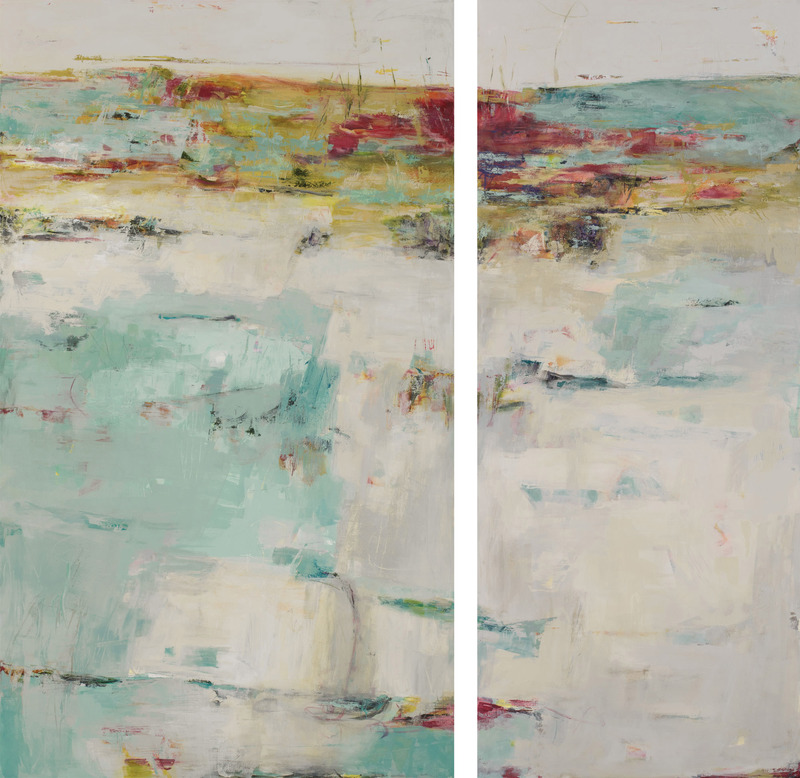 Allison Brown Simmons and Mary Grace Brown standing by Mississippi Blues V and VI on the right and Giverny Morning on the left. 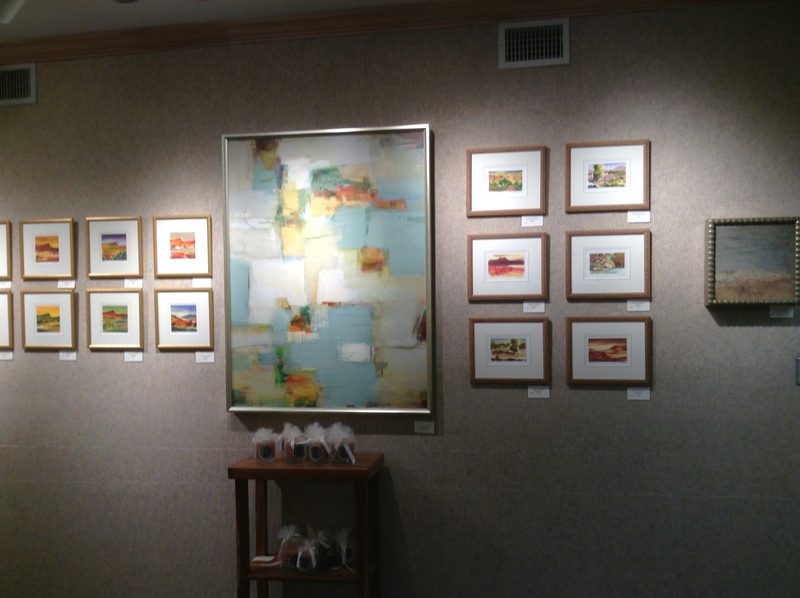 A grouping of miniature watercolors around a 48″ x 36″ acrylic on canvas from the Playful Patchwork series. 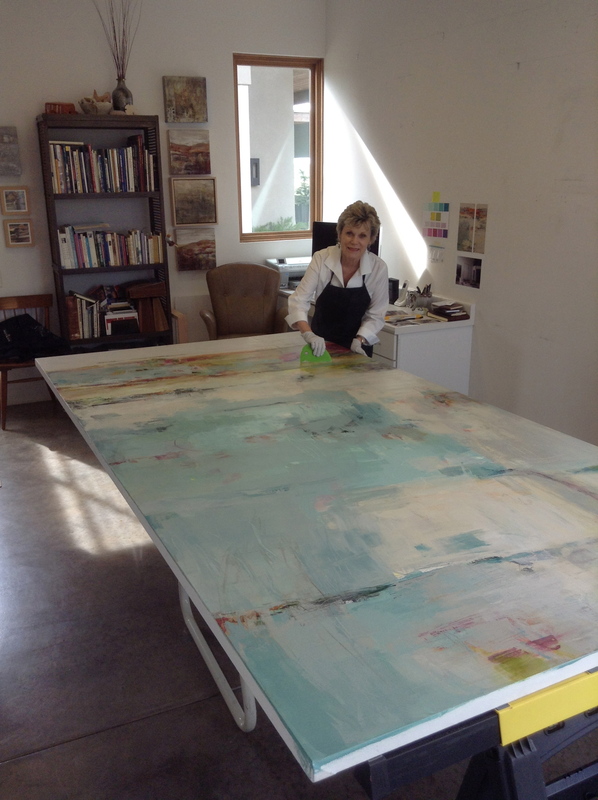 This survey exhibit included encaustic, acrylic, oil/cold wax paintings and miniature watercolors from the versatile artist.